I am glad to announce you that I will hold two workshops in Tokyo on Thursday, February 28 and March, 07 at my home in Tokyo. I am longing for the arrival of Spring - a delightful feeling if you ask me and one that I hadn't experienced for 8 years! Experiencing the cherry blossom in Japan as been one of my most unforgettable experience back in 2005, and I am very much looking forward to celebrate it once again with my Japanese friends and my family. 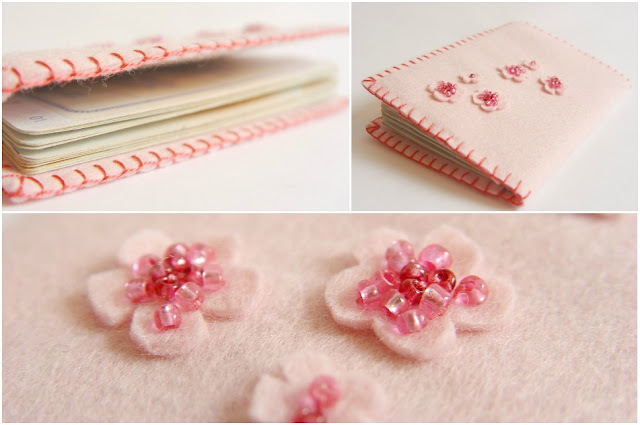 With these happy feelings in my mind and heart, I prepared a sewing workshop celebrating sakura: participants will create their own passport holder and decorate it with delicate blossom and beads. 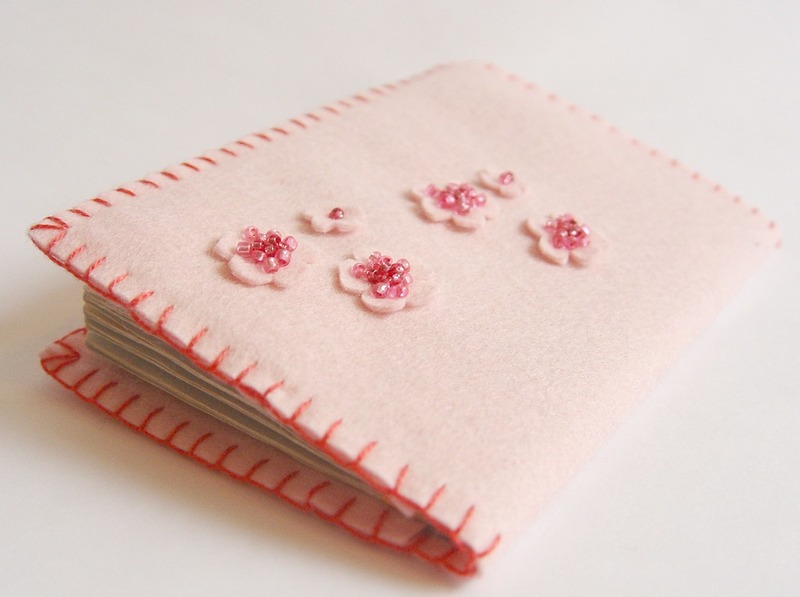 Although I have designed this workshop mainly for beginners who have never worked with felt before, more skillful participants will enjoy creating a more intricate embroidery if they want some challenge. We will use beads to decorate the flowers, and learn how to assemble two pieces of felt with the blanket stitch. *All materials included. Refreshments will be available throughout the workshop. - If you have always wanted to create something with your own two hands, but learning from the book all alone is too boring, this is for you! This project will give you the confidence to start other projects, and you will crave for more in no time! 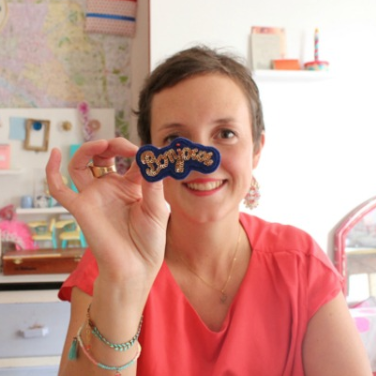 - If you like creating things with your own two hands, this workshop is a great opportunity to continue doing so while mingling with like-minded, fun people. You will also learn from them! - If you have never worked with felt before, you will discover a whole new world and will explore new ways to create pretty things. 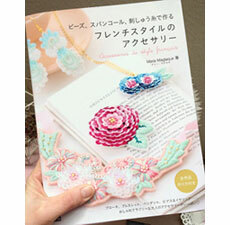 - If you want to make a gift for a loved one to celebrate Spring, you will learn the necessary skills to create your very own project at home later on: a book cover? a hand-phone pouch? ... Ask me for advices and reach me for help if you are stuck later on! Sign up now, there are only 5 spots available for each workshop! Thank you for reading till the end of this rather long post!